The EU must stand united in the face of unprecedented geopolitical challenges, Dutch premier Mark Rutte said on Wednesday (13 June) - as he increasingly emerges as the post-Brexit unofficial leader of a bloc of fiscally prudent, liberal-minded, free-trade supporting member states within the EU. 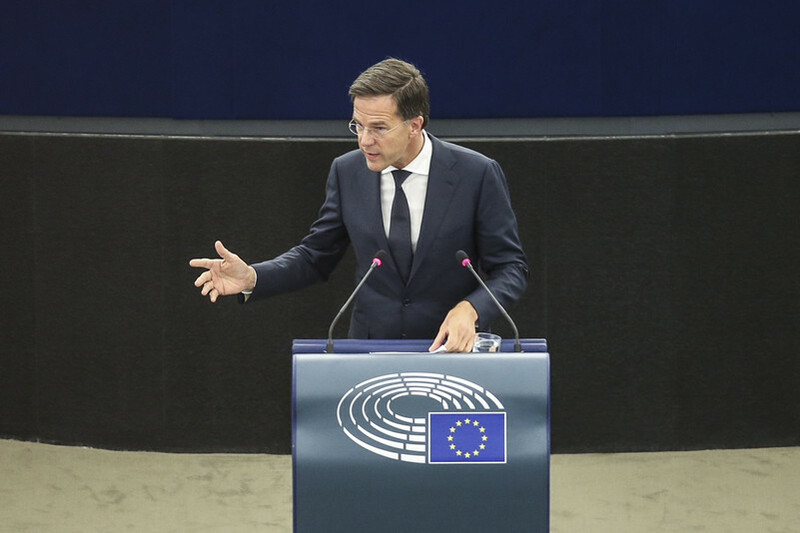 In a speech to MEPs in Strasbourg, Rutte warned that the EU should send a message to the world that it firmly believes in multilateralism, free trade, and that member states stand as united as ever. "The multilateral order is being challenged in that we haven't seen in decades," the liberal-conservative politician told MEPs. "The geopolitical power is shifting … If we want to determine our own future Europe must stand united," he said. "Even our relationship with our most import ally is not self-evident," Rutte warned, referring to the US which has pulled out of the Iran nuclear deal, the Paris climate agreement and imposed tariffs on EU steel and aluminium. Rutte also said the EU has to deal with Russia, which "distances itself from its neighbours and the West", and with China and India, which are increasingly self-confident and active on the world stage. "The EU is the most successful example that multilateralism and the willingness to compromise can bring about an unprecedented level of security and prosperity," Rutte said. The Dutch politician, who has served as prime minister since 2010, confessed that his "personal views on the importance of the EU have evolved over the years". The Brexit referendum in 2016, that happened only a week before the Dutch EU presidency's term ended, was a sobering event for the traditionally eurosceptic Dutch politician. Since then he has emerged as the leader of the liberal, free trade club within the EU, set against more federalist urges. This role has been reinforced since Germany decided to support a larger post-Brexit EU budget, leaving the Netherlands to lead the fight for a smaller EU budget. Rutte is also credited with stopping the rise of anti-immigrant, anti-euro Geert Wilders in the general elections last year, although Rutte's VVD party lost eight seats, while Wilders' PVV gained five. Rutte was nevertheless able to hail his party's victory as a blow against the "wrong kind of populism". "For the Netherlands membership in the EU is self-evident," he said in Strasbourg. 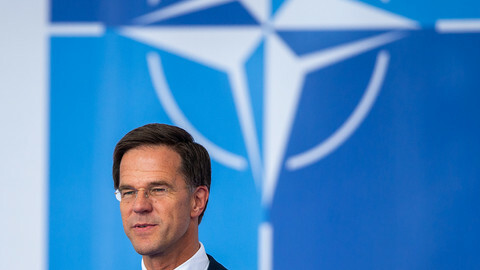 Rutte, however, warned that an "ever closer union" should not be a goal in itself. Opting out of the phrase was one of the key demands of former UK premier David Cameron before the Brexit referendum. "For some ever closer union is a goal in itself, not for me," he told MEPs, adding: "I believe that a truly strong EU must embody 'less is more'". "Unity is not the same as 'ever closer union', you don't achieve unity by simply doing more in more areas, you achieve it by doing things really well in a few important areas," he said. Rutte, outlining the kind of union he is promoting, said the EU budget for 27 members needs to be smaller than the current long-term budget. 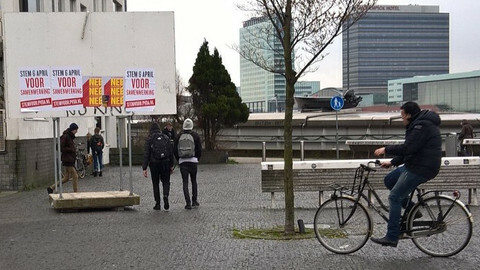 He said the Netherlands is willing to pay its share, but that other countries with "comparable level of prosperity must make a comparable net contribution". The contributions need to be reasonable, he added. The Netherlands is promoting a cut into the common agriculture and cohesion policies that make up some 70 percent of the current budget to make way for financing new priorities, such as climate and migration. Rutte said the EU's target of reducing the greenhouse emissions by 40 percent by 2030 is not enough - and proposed a new target of 55 percent. The Dutch PM, who has already pushed back against ideas by French president Emmanuel Macron to deepen eurozone integration, said that the notion of creating a 'transfer union' – where money would flow from wealthy to poorer EU countries – would go against the basic idea of the euro. Rutte strongly stood up for rule of law, as MEPs were preparing to hold a debate on Poland, where the European Commission said there is a systematic threat to the independence of the judiciary due to recent legislation. "EU membership is not a declaration of intent. 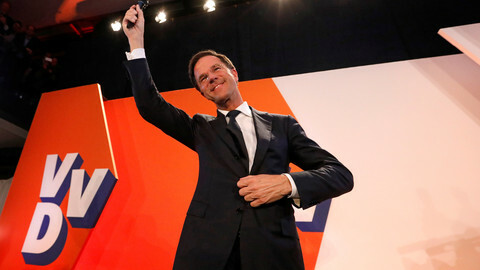 It means opting unconditionally for freedom of the press, an independent judiciary, legal certainty and all those other democratic achievements that bind us together as a community of values," Rutte said - arguing that a weakened judiciary in one member state threatens legal certainty for EU citizens and businesses everywhere in the bloc. "Those who say rule of law is a 'national matter' are wrong," he said. Backing up that Rutte - and the Netherlands - are stepping up to take the UK's place is many aspects on EU internal politics, the EP political group led by the UK's conservatives, the European Conservatives and Reformists (ECR), hailed Rutte's speech. The party said in a statement that the Dutch PM should act as a counterweight to the bloc's Germany-France axis. The Dutch government has proposed repealing a law which allowed citizens to demand a referendum on the EU-Ukraine treaty. Geert Wilders' anti-EU The Party for Freedom failed to secure the big gains he had promised after winning only five extra seats. 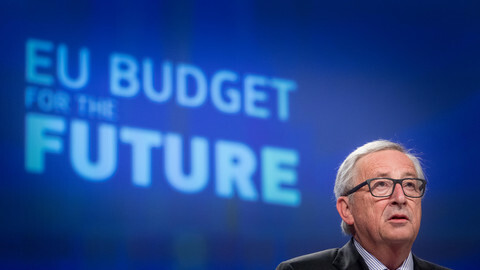 While the European Commission's post-Brexit EU budget proposal for 2021-2027 calls for a less-than-expected increase in spending, prime ministers of net payer countries have already called the starting proposal "unacceptable". 'The EU needs a reality check; power is not a dirty word," Mark Rutte declared, in a speech on foreign policy in which he explicitly ruled out a European army.